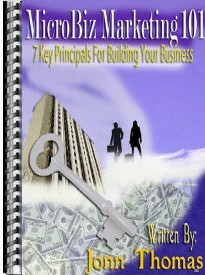 New marketing book to help build YOUR business! Copy the article and paste it into an email and send it to yourself… then store it in an email folder on your email server! Or in your computer. Bookmark the web pages you find with articles like this under different categories (folders) in your bookmarks section. Just wasting some free time on Stumbleupon and I found your entry. Not normally what I like to learn about, but it was absolutely worth my time. Thanks. Just blowing some in between class time on Stumbleupon and I found your post . Not normally what I prefer to learn about, but it was certainly worth my time. Thanks.